Previous Competition: April 29th 2017. The 2018 Robo Challenge will take place on Saturday April 28, 2018 on the JHU Homewood campus. 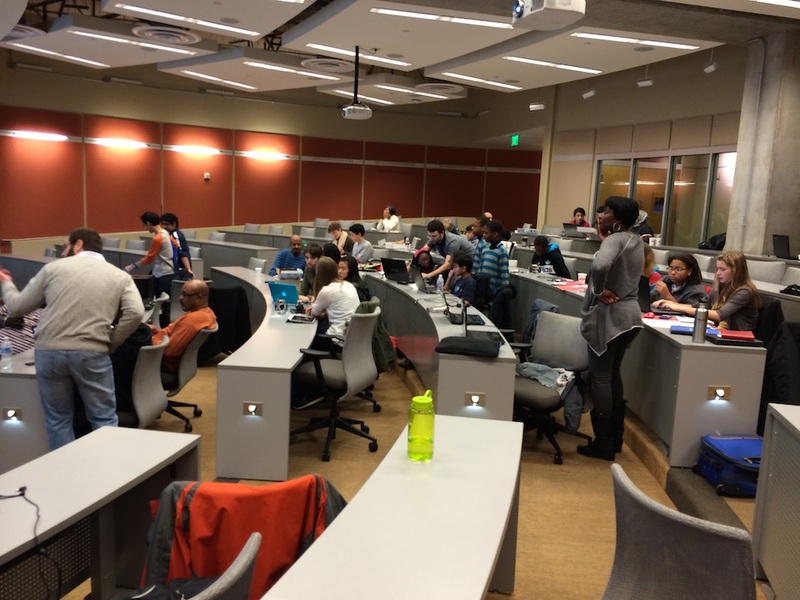 The purpose of the Johns Hopkins Robo Challenge is to complement classroom instruction by providing students with a unique opportunity to apply classroom skills and knowledge in a fun and competitive environment. The event brings students in teams to construct and program small robots that compete in several challenges.This competition is free and open to all middle and high school students. An outline of the events and an abreviated set of rules is listed below. See the official rules for more details. Note that there may be some minor changes between now and the training session. In addition we will upload scoring rubrics for each challenge and a list of parts to recreate each challenge so that teams can better prepare for the event. January 5th: The 2017 rules have been added. Sign Up: Please sign up for the training session by filling out this short form. Description: We will have one session that introduces students/teachers/parents to the BoE­bot and Arduino­bot. We will discuss how to assemble the robot, basic electronics, and how to program it using various sensors and motors. You should bring your robot and a laptop. Slides: Training Session slides are available here. Sign Up: Please sign up for the help session by filling out this short form. Description: We will introduce selected advanced topics for programming the robots. The programming components of this session should be relevant regardless of which robot platform you are using (e.g. BoE­Bot, Lego NXT, etc.). In additional graduate students in robotics will be available to answer any questions and debug code. Robots must follow a long, curvy black line on the ground. Obstacles will be placed parallel to the line, which the robot must avoid. 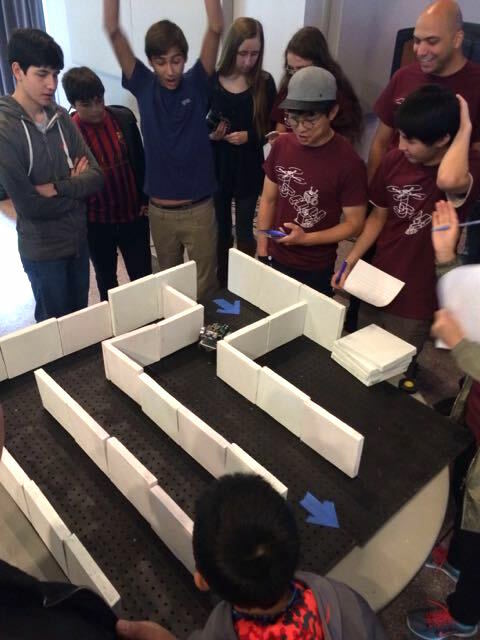 Robots are placed in the Mystery Maze where they must autonomously navigate around corners and multi-way splits in attempts to reach the finish. Note: the maze will look different this year. We will also provide a list of parts so that teams can assemble a practice course at home. Shark Tank is an open ­ended challenge where each team must design and prototype an innovative application for their robot. Some previous examples include creating a miniature prototype prosthetic arm using Lego Mindstorms, an autonomous goalie for a soccer game, and a robot that can draw letters. Each team should demonstrate a working model to a group of judges who will ask questions regarding design, implementation, and the target application. Teams will program an original dance routine for their robot(s) that can last up to 2 minutes. Choreography can include a combination of spins, repeated sequences, and other creative movements. 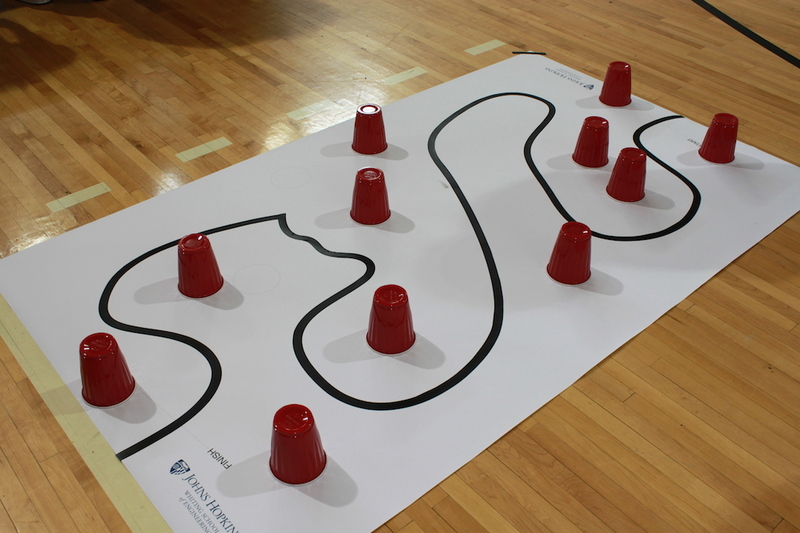 Only robots that comply with the “Acceptable Robots” may be used for the Slalom and Maze. Robot programs must be written entirely by the student teams (but may receive help from mentors). Extensive use of outside code is prohibited. For a complete set of rules see the official PDF above. This year, there is a specific size limit for each robot competing in the Slithering Slalom and Mystery Maze but not for the Shark Tank or Dance. For these challenges the maximum width and length of the robot is 7.5 inches by 7.5 inches . Within reason, there is no size limit for the other challenges. For most challenges the speed of the robot will be a factor in the score. You can use any sensor compatible with your robot kit. We have a set of BoE-bots and Arduino-bots that can be loaned out for free (with $150 security deposit). 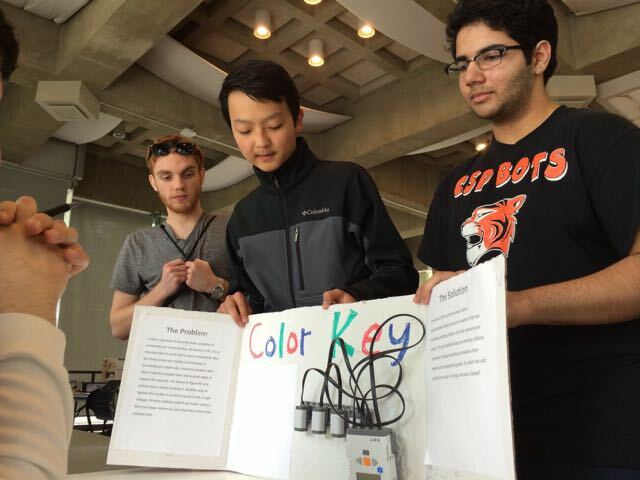 If you would like a kit email us at jhu.robo.comp@gmail.com. Thank you to the sponsors who make this event possible! Feel free to contact us with any questions, comments, or concerns at jhu.robo.comp@gmail.com.